Access difficulty: Access to that castle is the hardest out of all the depicted castle on this webpage. The shortest approach to the summit takes 1 hour, the trail is laid with scattered stones, which give way under feet, and climbs are very steep here and there. However, according to Tatra standards this route would appear to be easy. 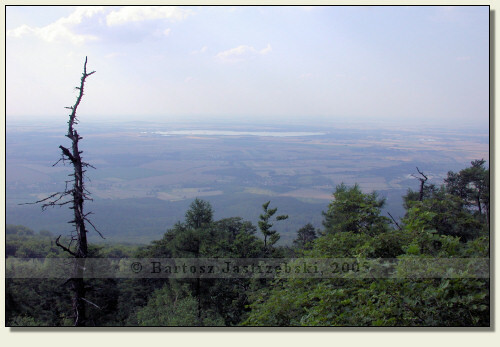 You may reach Ślęża in several ways, but the shortest is the climb from Tapadła pass, in which you can arrive by car. 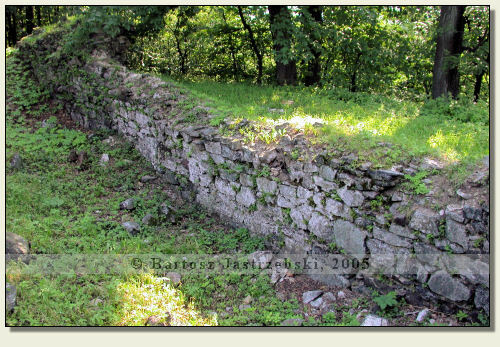 With this end in view you have to set out from Sobótka, located 30 km north-east of Świdnica, in the direction of Sulistrowice. After you come to the village it is necessary to turn right to Sulistrowiczki. In Sulistrowiczki you must drive down the main road towards Wiry and at a certain moment, on the right side of the road there will emerge the forest parking lot. There you have to park and start hiking along the yellow trail to Slęża Mountain. After an hour approach and reaching the peak, the ruins will be situated behind the church. 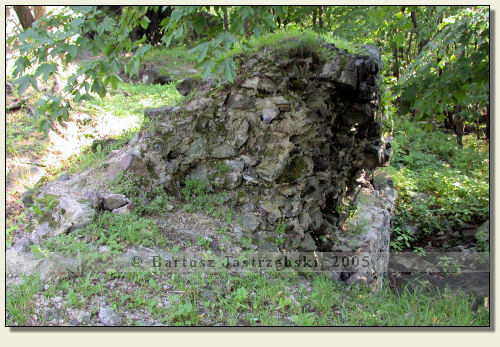 Slęża Mountain was already inhabited in the ancient times. On its top the borough and the site of ancient worship have their place there. The medieval castle was raised after 1343, probably in the place of castellan borough from 1247. Initiator of the construction was duke Bolko II of Świdnica-Jawor, who bought the mountain from duke Mikołaj Ziębicki. Just after erection of the castle duke Bolko II gave it in 1353 as a wedding gift to king of Bohemia, Karol IV. In 1428 the stronghold was conquered by Hussites, and 4 years later burghs of Świdnica and Wrocław recaptured it. As a result of fighting the castle was demolished, nonetheless its state was good enough to become the residence of brigands in a short time. The next siege and seizure of the stronghold by the townsmen led to its total destruction. Only tower preserved, which collapsed in 1543. 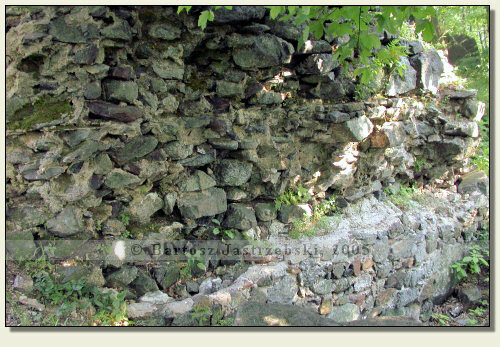 In 1702 in the place of parts of groundwork the church arose, and the remaining fragments of walls have survived up to this day.